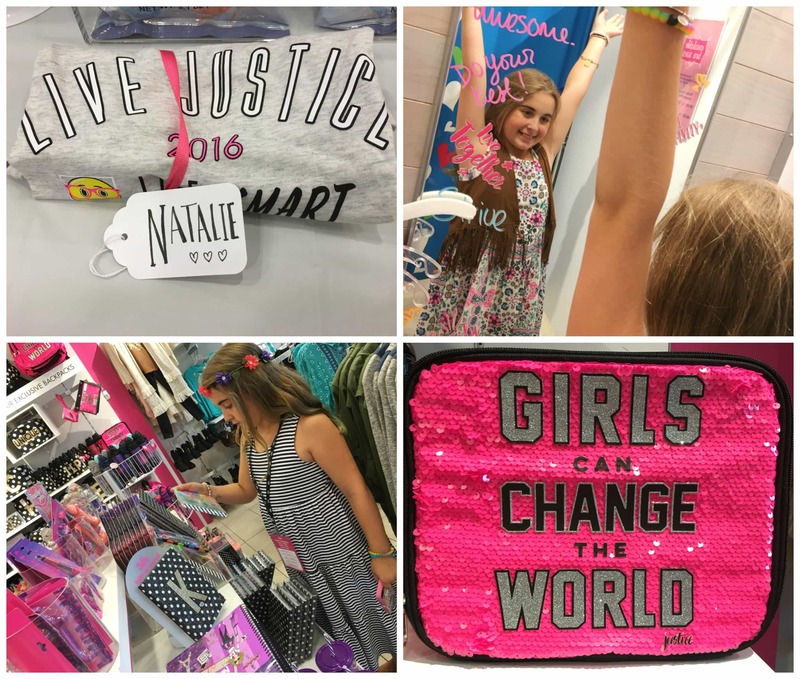 It’s that time of the year again – Justice Back to School Shopping! Natalie and I went Back to School shopping and of course, we ran right straight to Justice. My daughter is all about the bright and the bold, the glitz and the glam, the emojis, and the floral wrap headbands. Where else can you find this all under one roof?! She is heading into middle school in a few weeks and I thought that this year would be the first year that she would have complete control over her look. Natalie is becoming her own person and all I had to do was step back and watch her pick and choose all the items that she wanted to add to her wardrobe. It was so much fun seeing her navigate towards fringe and sparkle. The great thing about Justice is they literally have it all! Natalie was able to pick up a few pairs of shoes, new pajamas, several outfits, and some fun accessories. And yes, there was a huge smile on her face the entire time. If you don’t have a store near you, you could always visit ShopJustice.com to see their entire line. Yes… we did walk away with the poop emoji pillow. Apparently, it’s one of their hottest accessory sellers. Another great buy? This scented latte pajama set! It really does smell delicious! She also snagged an emoji backpack and lunchbox (with her initial on it). And how can we forget our new moto boots! I mean… HER new moto boots. 🙂 These Justice for Girls school clothes are currently available on ShopJustice.com!! Besides back to school, I have to say, this is SUCH a great place to go for birthday gifts! We have two birthdays coming up next week and I know that I will be heading back to the mall to pick up my presents from Justice. It’s a tween girl’s dream come true. 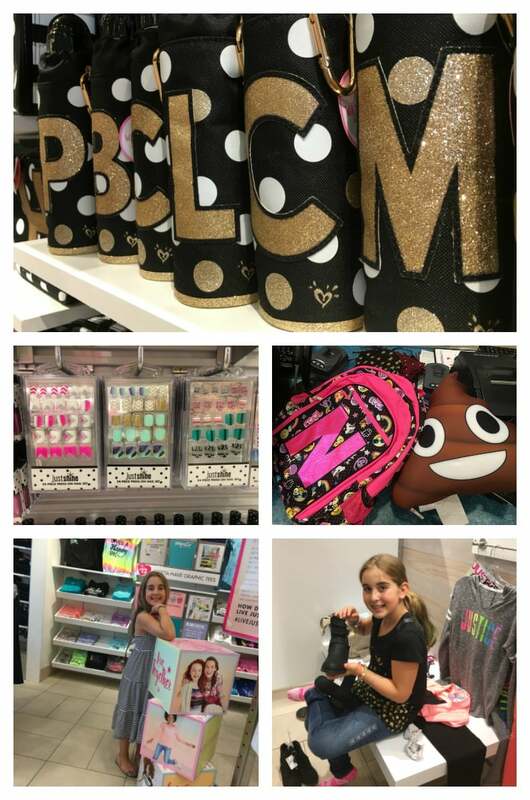 Journals, school supplies, makeup and hair accessories, water bottles – you name it! It has been my MISSION to get Natalie in a pair of jeans! She actually did it while shopping at Justice. She put them on. I literally almost squealed! No more leggings. No. More. Leggings!!! Yahoo. Head on over to ShopJustice.com for more information. 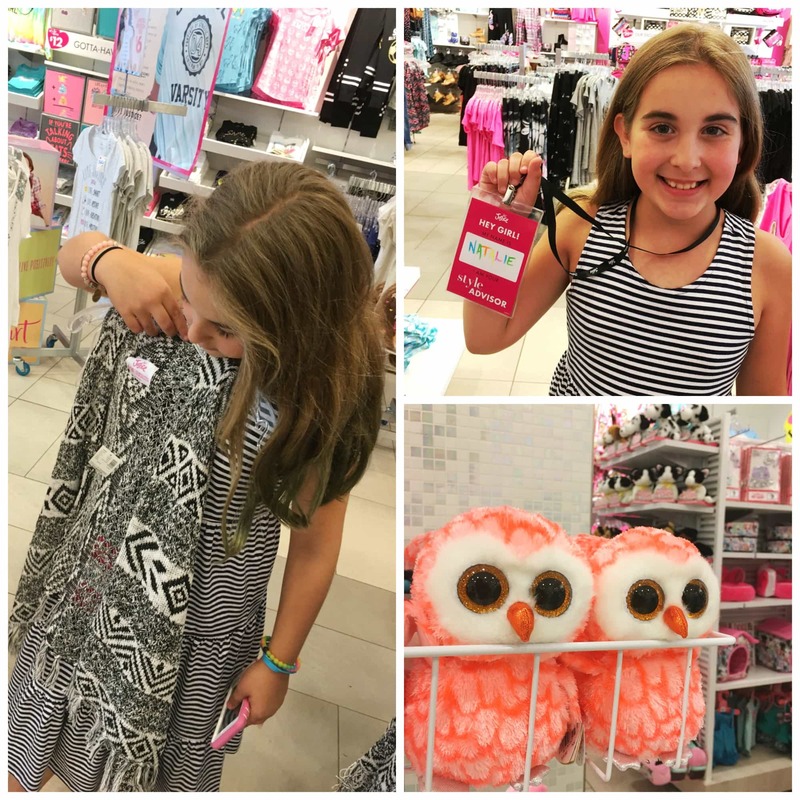 All in all, Natalie is THRILLED with her back to school picks! I cannot wait to show you how she looks in them on the first day of school. It’s right around the corner. Schedules and routines are in my near future. I can feel it! 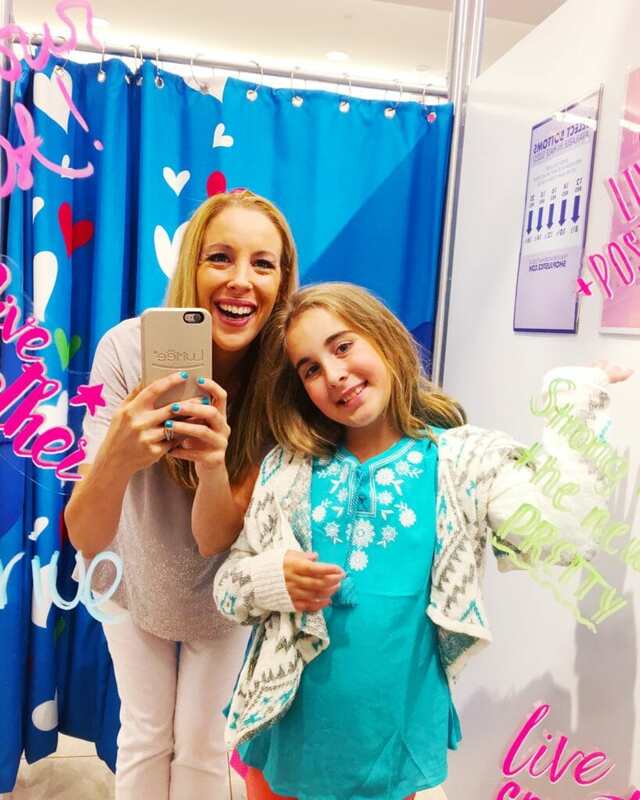 Do you have a daughter that’s heading back to school? 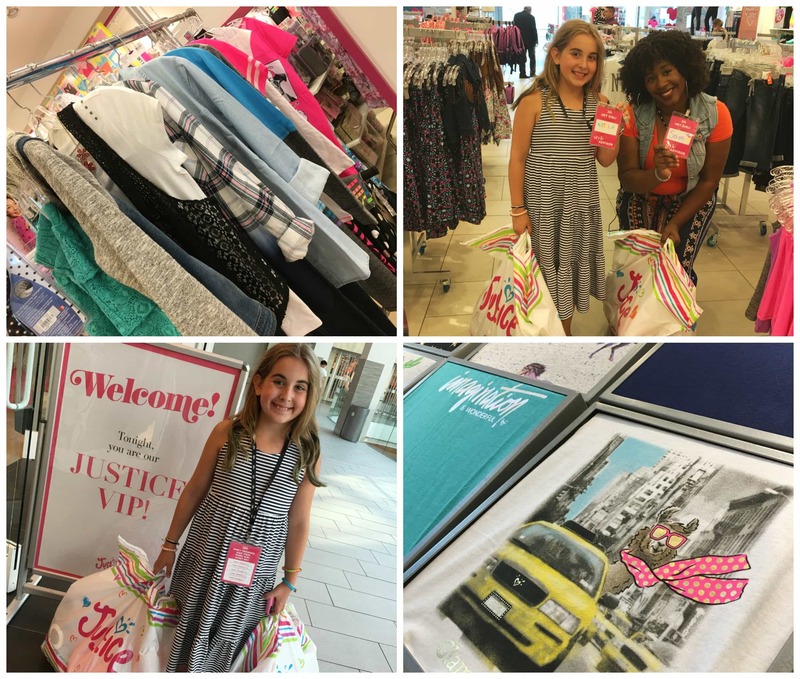 Are you planning on doing shopping at Justice? Be sure to check out that fab store! They have so many great styles – something for everyone. The dancer. The writer. The sports girl. The fashionista. The tech lover. The girl next door. The Broadway Bound diva. You name it! They have it! Shopping At Justice Twitter Party Alert!! Join me July 29th at 2pm EST for a Twitter party with Justice!! I’m so excited!!! Here’s all the information you need to get started. Prizes – YES!! Gift cards to Justice! Amazing! RSVP – NONE! See you there!